We had a very nice week at the Reg 15 show. 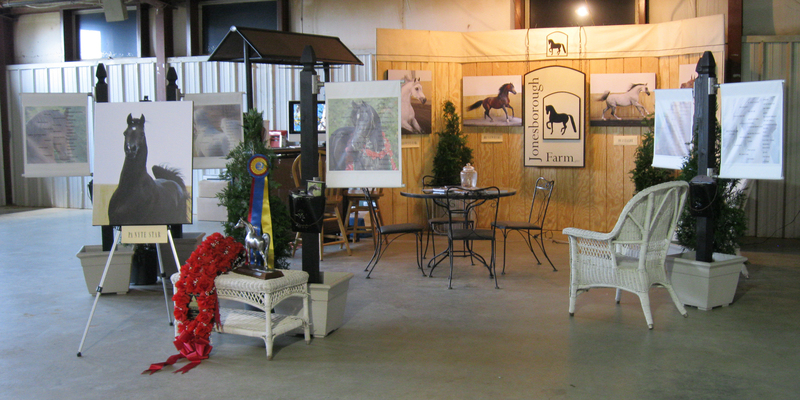 It took some getting used to relaxing in the commercial exhibit area instead of being back in the stable area getting horses ready for classes! We enjoyed connecting with lots of people we hadn’t seen for a while as well as meeting new ones. Special thanks to our clients Laura Thomas, Fred, Pat and Craig Paul and Bill Payne for making the trip down to “hang out” with us! The booth was well received thanks to the beautiful photos by Tricia Booker and the welcoming smile of our friend Steve Pekary! We appreciate the wonderful response on our website! We will have a training page launched very soon.